Open-Source browser based on Firefox. Is there a better alternative to IceCat? Is IceCat really the best app in Browsers category? 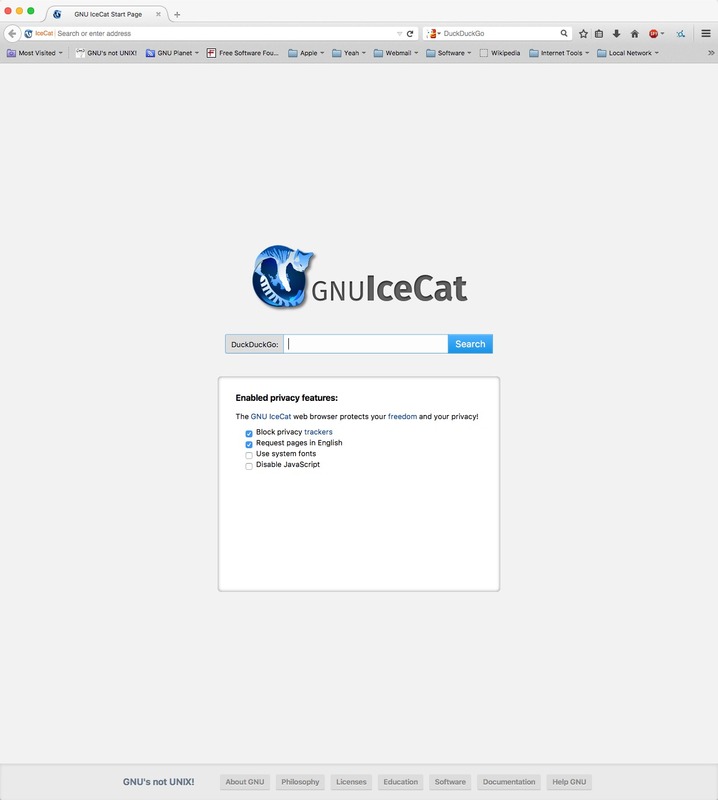 Will IceCat work good on macOS 10.13.4? IceCat is the GNU version of the Firefox browser. Its main advantage is an ethical one: it is entirely free software. While the Firefox source code from the Mozilla project is free software, they distribute and recommend non-free software as plug-ins and addons. Also their trademark license restricts distribution in several ways incompatible with freedom 0. IceCat needs a rating. Be the first to rate this app and get the discussion started!